St. Olof's Castle shown above provides a magnificent setting for opera productions under a tented canopy in the open, interior courtyard. 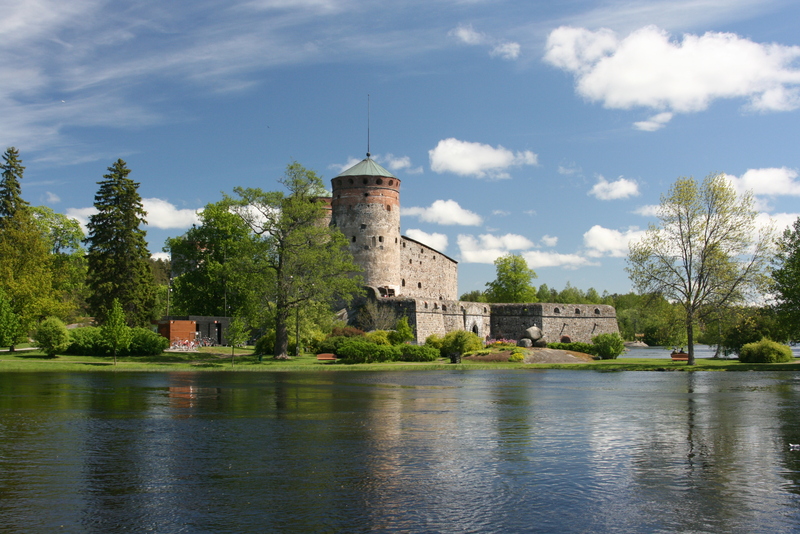 The Savonlinna Opera Festival is one of the most prestigious festivals in the world. This century old monthlong celebration of opera and music attracts over 60,000 visitors from Finland and all over the world. In 2008 I was honored to be a part of the artistic team that was chosen to produce their festival opening production for the 2009 season. My architectural experience allowed me to appreciate the challenges that staging an opera in a 14th century castle offers. The Festival also required that the design be adaptable to a conventional proscenium stage as it was their intention to take this production to other opera houses throughout the world. After a reprise run in 2010, the staging traveled to Malmö, Sweden for its first theater production.